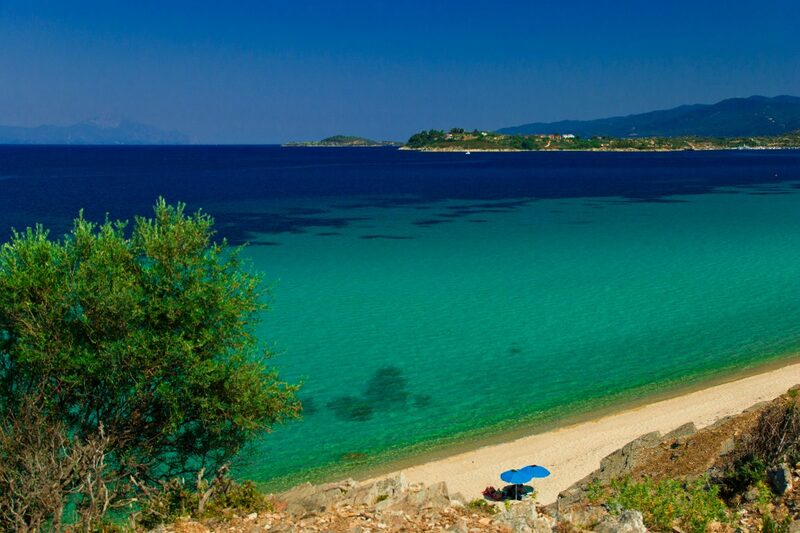 Paradisos, Blue flag awarded beach is located on the right side of Neos Marmaras. It is narrow, sand and pebble mixed and organized with shallow waters. Tourists can find around restaurants and typical Greek taverns or enjoy water sport activities.